Whether buying a brand new or second-hand car, it is vital that you do as much as possible to ensure it is and remains safe. As such a large investment, you want to be sure that the vehicle you’re purchasing is exactly what you expect and that it won’t lose value through being damaged or stolen. 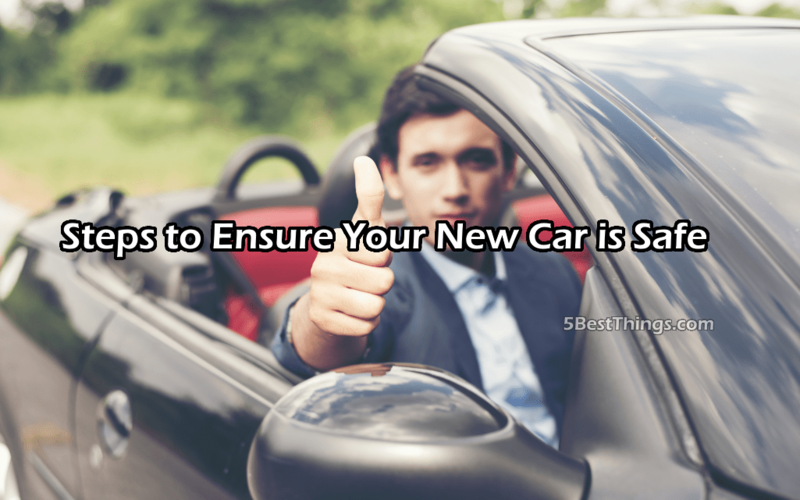 The following five steps should mean that from the buying process to ownership, your new car is safe. The best step to avoid being ripped off or buying a dodgy second-hand car that breaks down two minutes after driving, is to only look and purchase through well-known and trusted dealerships. Private sellers may offer a bargain price but if it seems too good to be true, it’s probably because the car is unsafe. Also, it will be harder (if not impossible) to get your money back should there be a fault or two with the vehicle, whereas with an official dealer you should get a warranty. When buying a used car, for added peace of mind a HPI check from CAP HPI provides an accurate history of the vehicle. This is useful to show if it has previously been written off, is a stolen model or has a history of failing its MOT, which the seller may not disclose. If any such issues are flagged by the HPI check then don’t purchase it as it could be unsafe. Where you keep your new car at night can impact upon its safety. Street parking in poorly lit areas are more likely to result in theft, while keeping it in a locked garage is the best option. When out and about, keep it parked close to other vehicles, as thieves will target those on their own, away from other people. The best looking cars are less likely to be targeted by thieves, as they will be easier to find by the police. Therefore, not only does keeping your vehicle looking its best ensure it has that new appearance all the time, but it should also put off many potential thieves. If the worst does happen to your new car and it is stolen, at least by having a tracker installed there will be a greater chance of recovery. GPS and radio signals will alert you to your car’s movements, so you can inform the police straightaway and help them find it. These five steps should help ensure that your new or second-hand car is safe to buy, drive and own.